Honeymooning in Seminyak is nothing short of dreamy. If you’re staying in a Seminyak villa for a week or two with your new beau then you’ll be on the lookout for the most romantic places to eat, and activities to do. Staying in a Bali villa on this incredible island means that you have access to an unlimited list of experiences, and you can get just about anywhere from Seminyak. For this reason, we’ve opened up our list of amorous affairs to go beyond Seminyak itself, but it’s up to you and your honey to pick and choose which options light your collective fire. For this post we’ve shined our light of focus on the most important aspect of any trip to Bali… the food. Pantai Petitenget, Jalan Kayu Aya. If you’re reading this having just arrived in your luxurious Bali accommodation in Seminyak then the first thing you’ll want to know is where you can find some food! We made sure this option was close by to start you off. One of the most favourite tried-and-true restaurants in the area is Seminyak’s very own La Lucciola. It might feel strange to be going out for Italian food amidst the Indonesian hubbub, but you won’t worry about that once you see the view! You’ll find yourselves sitting amongst candles and fairy lights, gazing out across the ocean as you enjoy calamari and pumpkin ravioli. Make sure you save room for desert. Jalan Raya Penelokan, No.999, Kintamani. 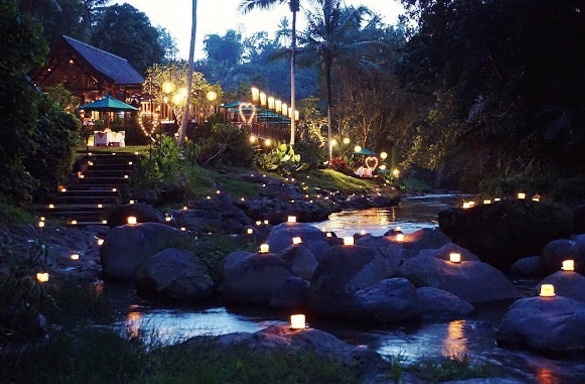 Lying roughly 60 kilometres north of Seminyak is one of Bali’s treasures amongst romantic dining experiences. If you hire a car it will take about two hours so it’s best to make this one part of a day trip to Ubud or as a reward after doing the Campuhan Ridge walk. 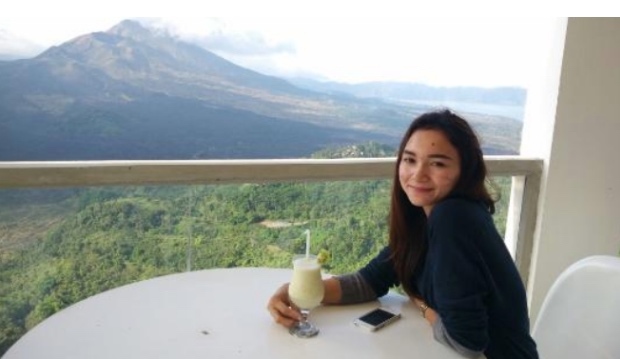 To get right to the point about the magic of this location, the restaurant offers an expansive view of the majestic Mount Batur, Kintamani lake, and Kintamani Volcano. While you feast your eyes on these geographical delights, you will enjoy a buffet with a focus on Indonesian dishes made from quality local ingredients. Pro tip: have your driver stop at Pinggan Village on the way for a unique view of Mount Batur that’s off the beaten tourist path. Jalan Raya Gilimanuk Singaraja, Km. 17, West Bali National Park. Since we’re on a roll with food enjoyed in front of incredible views, we couldn’t really leave out the famous Bali Tower restaurant. 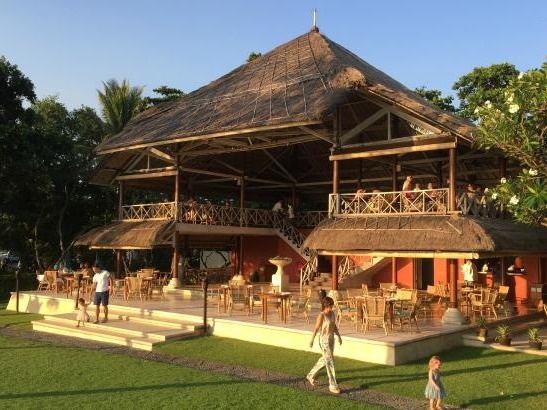 Not only does this spot have the most breathtaking views of East Java and West Bali but it’s set atop an eco friendly bamboo tower surrounded by the flora and fauna West Bali National Park. Yes this is a three hour drive from your Seminyak villa, and yes it is absolutely worth it. Make sure to leave early in the day so you can make pit stops all along the western coast line or head straight up the centre through the mountains and jungles. The food is geared toward a Western pallet with choices like dry aged ribeye steak or crispy red snapper with more eclectic choices like West Sumatran coconut and cinnamon beef curry. Be sure not to miss this one. While luxury wine-ing and dining is infinitely delicious, some couples enjoy the sweet intimacy of a picnic upon a hill top. 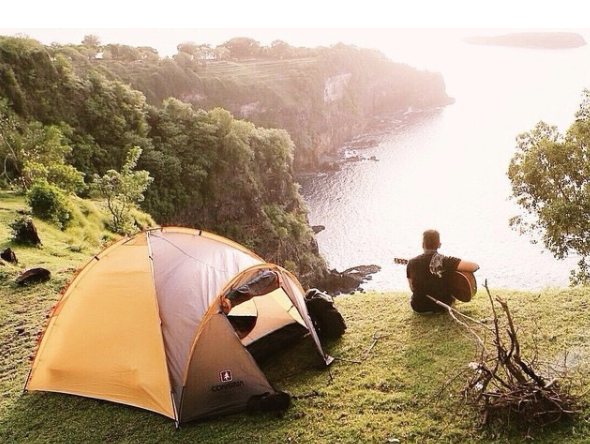 What’s unique about this absurdly beautiful viewpoint is that it can double-up as a camping spot as well so you can really make the most of the two hour drive from your Seminyak Villa. Whether you choose to spend a romantic night or arrive during the day, you’ll find yourself looking out over neighbouring islands beyond waves crashing against the coastline. It’s best to hire a driver to get there as the road can be a bit tricky nearing the hill. If you’re the active type of couple, have your driver drop you at the lower part and make the 2 kilometre hike to the top. If you’ve got your picnic basket ready, you may even meet some locals selling delicious food and drink along the way. This incredible restaurant really does live up to its name. It sits in Ubud, the landlocked heart of Bali teeming with food, yoga, and culture. It’s only about an hour north of your luxurious villa accommodation in Seminyak so it’s a reasonable trip to take for an exquisite dinner. Upon arrival you and your love will be greeted by the warm and friendly staff who will drive you by golf cart down to the dining area. You will be absolutely blown away as you drive through the sparkling gardens lined with thousands of candles and flower petals all the way down to the river’s edge. You’ll listen to the gentle waters flowing by as you enjoy the divine 6-course meal expertly prepared, and served with grace. 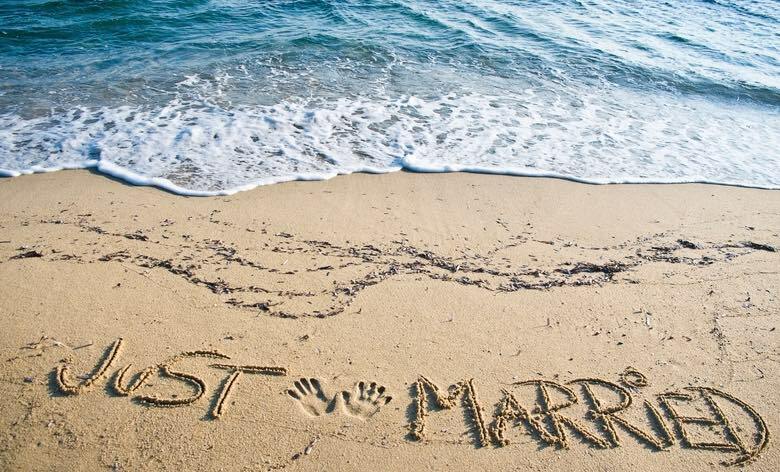 The Swept Away restaurant promises an unforgettable night for honeymooners who want to make lasting memories. Another favourite in Ubud, Cascades offers a different scene than the rushing river of Swept Away. 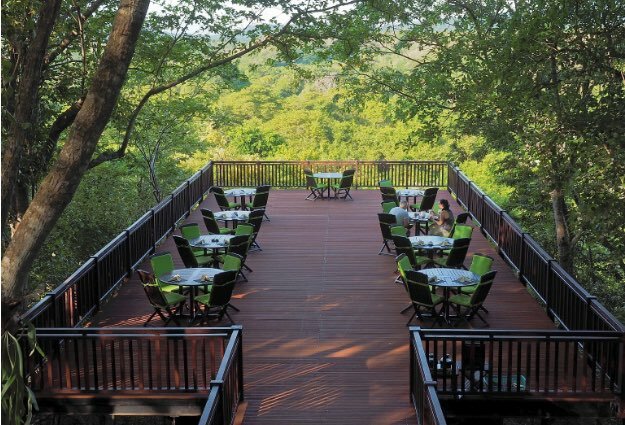 Perched high atop a ridge in the tropics, you will look out over the sweeping Valley of the Kings from the outdoor dining area. While the views are breathtaking, Cascades is known for its internationally acclaimed cuisine. You can choose from Australian Wagyu beef to Canadian Lobster as well as local Indonesian dishes. The menu as a whole tends to have a French flare with Balinese influences and has yet to disappoint. If you can manage two dreamy nights in Ubud, definitely add this one to the list. Here we find ourselves back in the hometown of your very own Bali villa, right on the main beach of Seminyak. Far from the white table cloths of some of the fine dining restaurants mentioned above, La Plancha earns its reputation from its good vibes and cocktails. You and your newly betrothed can plunk yourselves down into colourful bean bags side by side and enjoy a casual burger and onion rings for dinner. To end the night you can sip on Bintangs, toes in the sand, while you watch the sun slowly set to some groovy tunes. The following video will give you a good idea of the vibe down on the beach right near La Plancha at sunset time. It’s absolutely packed but if the two of you can get there early enough, you will get a prime bean bag to settle in, hold hands and enjoy the fun unfold. While the list of romantic dining spots goes on and on, we’re confident that those mentioned will guarantee you a honeymoon full of gastronomical gratification as well as the perfect settings to fall in love again and again. If you wanting to rent a honeymoon villa in Bali, contact our reservation team at Bali Villa Escapes.